A regular physical examination is just as important for your pet as it is for you. Our veterinarians recommend a complete physical examination for your pet at least once, and perhaps twice a year. 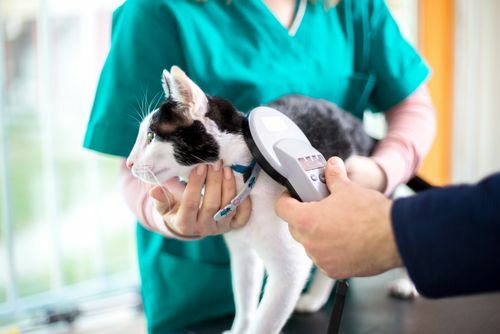 During a physical examination, your veterinarian will listen to your pet’s heart and lungs, evaluate your pet’s vision, look for any unusual lumps or swell and check your pet’s teeth and oral cavity, among other procedures. Routine examinations give your vet an opportunity to develop a picture of your pet’s overall health. Examinations are also essential in spotting problems before they become serious health issues. During an exam, your veterinarian may also talk to you about home healthcare for your pet. 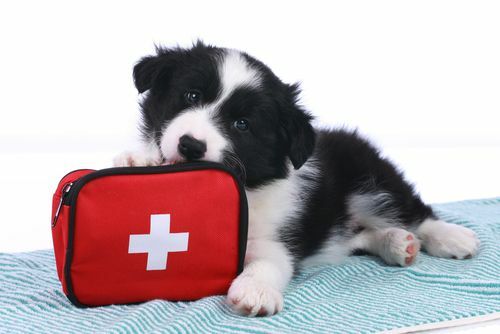 An examination is also a good time for your pet to get up-to-date on his or her vaccinations. Ask your veterinarian about scheduling an examination today.We do well-pet, preventative medicine, like vaccinations, flea control, nutrition counseling, behavioral counseling, microchipping. We do examinations and write health certificates for interstate travel, as well as health certificates to Hawaii, the United Kingdom, Europe and Australia. See links for the travel requirements to certain island countries. We are open 24 hours a day, 7 days a week, 365 days a year. We see emergencies; we see and treat sick pets on an outpatient basis, as well as hospitalize pets that need more critical and long-term care. Our 24-hour staff is with your pet all day and all night—no pet is left alone, frightened, in a dark cage. We treat all kinds of pet emergencies — CALL US AT 818-788-2022 OR 818-788-7860 AND PUT THOSE NUMBERS ON YOUR SPEED DIAL TO REACH US QUICKLY IN THE EVENT THAT YOUR PET HAS AN EMERGENCY! 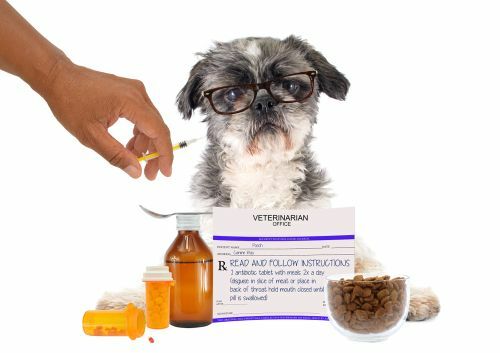 We have an extensive in-house pharmacy so that you do not have to go to another location to obtain the medicines your pet needs. We also work with a local compounding pharmacy, which can make specialty medications or take the medications that your pet needs and place them in a gel that is smeared on the ear, a tasty fish-flavored liquid, or make the dose small enough to treat the littlest Chihuahua or kitten. For your convenience, we have partnered with Vets First Choice, a veterinary-only, credible online pharmacy. Vets First Choice can also make compounded specialty medications if you so desire. We also use Valley Drug and Compounding to help prepare medications more suited to your pet’s disposition. For example, if a medication tastes particularly bad, or if the patient simply won't take medications, a compounding pharmacy can sometimes make up a version that can be applied to the skin of the ear, or they can place the medication in a tastier elixer to make it a bit more acceptable. 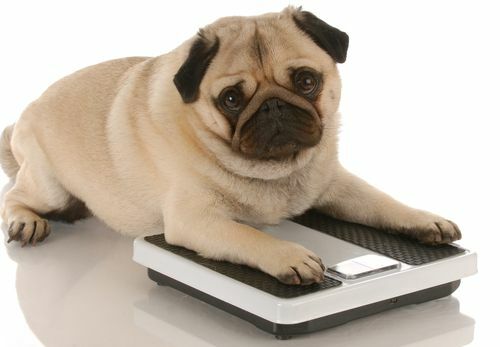 Some pet health conditions respond to dietary management. Dogs with kidney disease benefit from protein restriction; cats that form crystals in their urine benefit from special diets that increase water consumption and maintain urine pH in a narrow zone, so that crystals are prevented. Pets with allergies may need special protein formulations, and overweight pets, diabetic pets, pets with fiber responsive diarrheas — we have a broad range of diets, and flavors, available to help owners manage these conditions. 40 linear feet of shelf space dedicated to prescription diets help us ensure your pet has the best selection and choice for his or her medical condition. We use ISO compliant microchips that operate on a radio frequency that is recognized in Europe and the United States. Periodontal disease is the most common ailment among dogs and cats. Regular home care and professional treatment are the first and best means of preventing and combating this problem. Anesthesia-free methods DO NOT provide the opportunity for thorough cleaning or for proper examination of the oral cavity. Anesthesia-free hand-scaling etches the tooth, setting up a matrix upon which new bacteria and saliva and food particles can take root more easily. Anesthesia-free hand-scaling does not clean under the gum line, nor the interdental space, nor the inside of the teeth—along with the inner arcade and anesthesia-free hand-scaling allows bacteria to gain entrance into the bloodstream when the gums are nicked with the dental tool. The American Veterinary Dental College position paper on anesthesia-free tooth scaling states that “Removal of dental tartar on the visible surfaces of the teeth has little effect on a pet’s health, and provides a false sense of accomplishment. The effect is purely cosmetic. 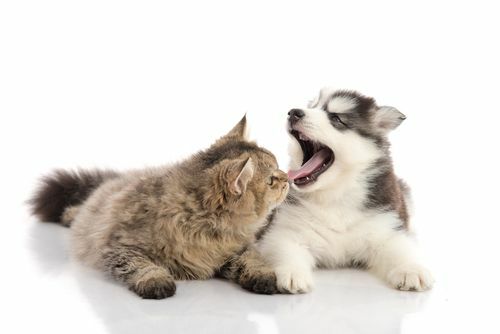 In keeping with the recommendations from the American Animal Health Association, the American Veterinary Dental College, and our personal ethical interpretation to practice medicine to the highest standard, we perform complete oral health assessments, treatments, and planning on anesthetized pets. Under the appropriate anesthetic protocol for your pet, with intravenous fluids delivered at all times during anesthesia, we clean and scale the entire tooth-the inner surface, the outer surface, between the teeth, and under the gumline. We note and chart and problems with the tooth and gums in that area, and we take radiographs to evaluate for the disease under the gum line. The pet is provided with antibiotics and pain relief because by the time we see most of these patients, there is significant periodontal disease present. Our doctors and registered veterinary technicians are skilled in dental cleaning and polishing, radiology and radiology interpretation, appropriate dental charting, and appropriate anesthesia management.